Charles earned Master’s in Education from Cleveland State University and has taught 6th through 12th grade social studies. He loves impacting the lives of his students, and he is looking forward to building meaningful relationships with all of them. He recently moved from Ohio to Oregon and has found Oregon to be beautiful. Outside of school, Charles enjoys spending time with his family, golfing, swimming, and hiking. 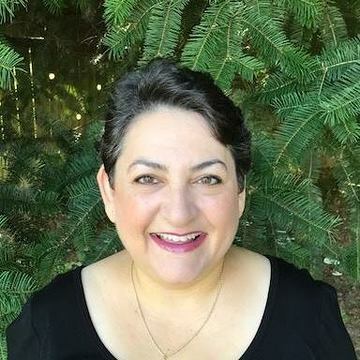 Katrina Rudolph-Wise holds a BA in Liberal Studies with minors in Spanish, English, Bilingual Education and Secondary Education from Eastern Oregon University. She also holds a MA in Educational Leadership and Organization from UC Santa Barbara. Katrina taught Spanish and English as a Second Language in California beginning in 1993. She began teaching Spanish at BWA in 2011 and enjoys getting to work with Eastern Oregon students as well as improving and expanding the Spanish program. Angela enjoys tremendously the role of Advisory Teacher. Prior to joining the BWA team, she was a high school Traffic Safety drive instructor and girls basketball coach. She also spent some years building homes with her husband at his framing company. In addition to her responsibilities at BWA, she is a freelance artist with a focus on illustration and T-shirt design. In her free time, Angela enjoys spending time with her family, adventuring in nature, studying books, playing sports and games, building things, and creating masterpieces.